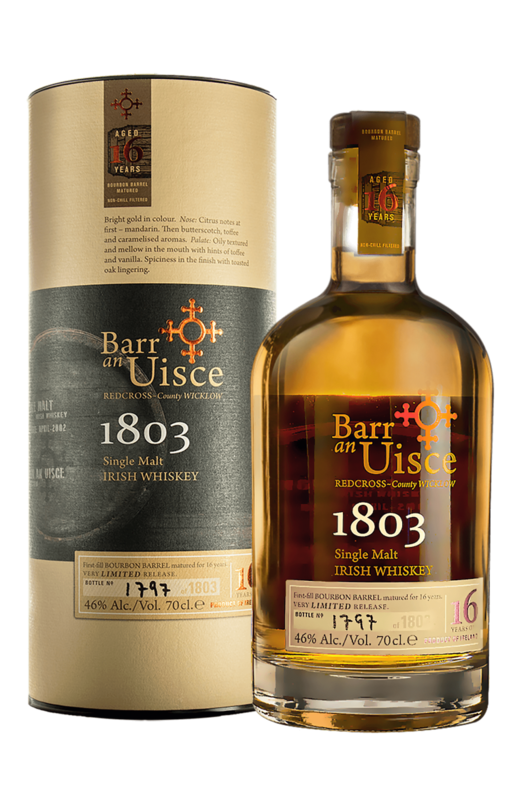 A limited edition 16 Year Old whiskey from Barr an Uisce that has been matured in first fill Bourbon barrels. Only 1803 bottles were produced and all of these have been numbered by hand. Aromas (without water) Citrus notes at first mandarin. The butterscotch, toffee and caramelised aromas. Palate (without water) Oily textured and mellow in the mouth with hints of toffee and vanilla.